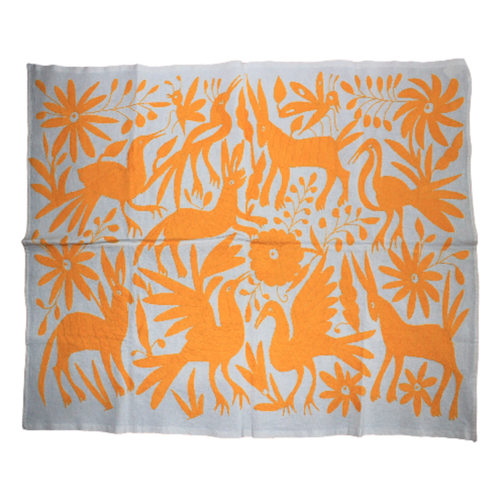 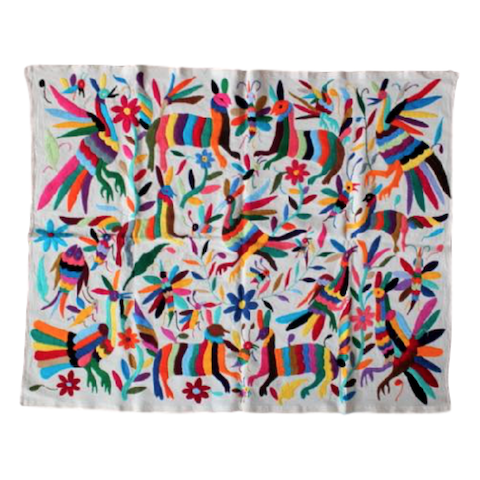 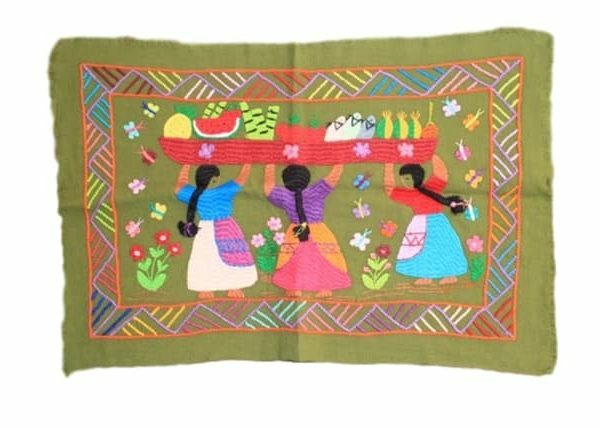 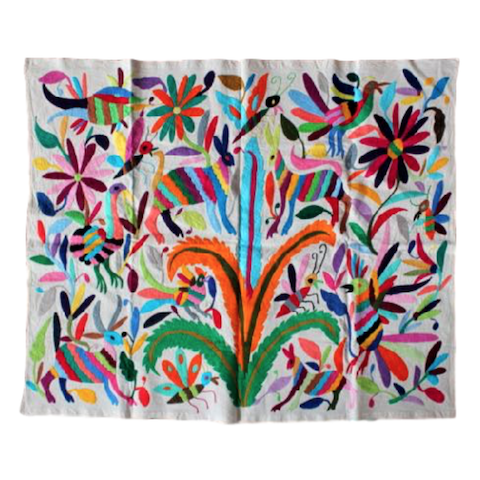 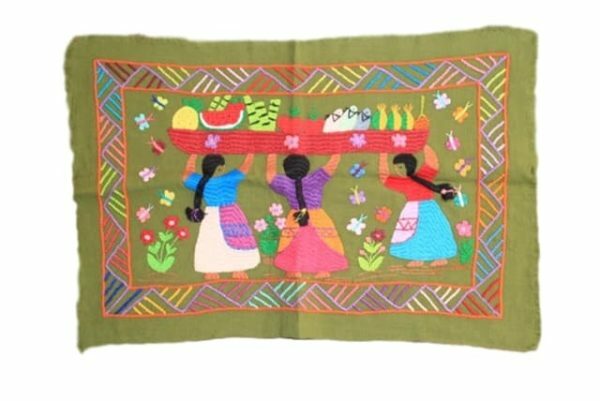 Beautiful hand-sewn fabric featuring a “Vendedoras de Fruta” (Fruit Sellers). 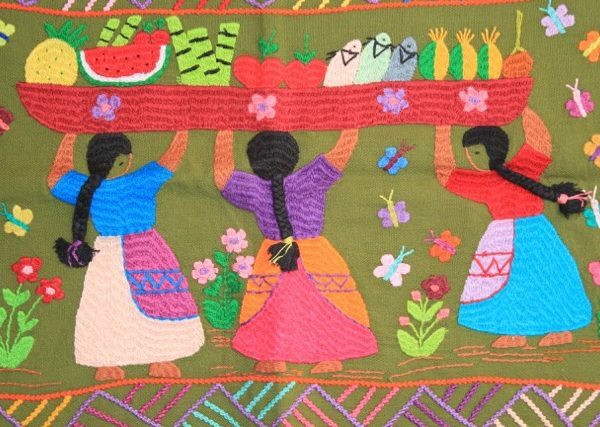 Hand-woven in Tzin Tzun Tzan by Doña Teo, a master artisan weaver. 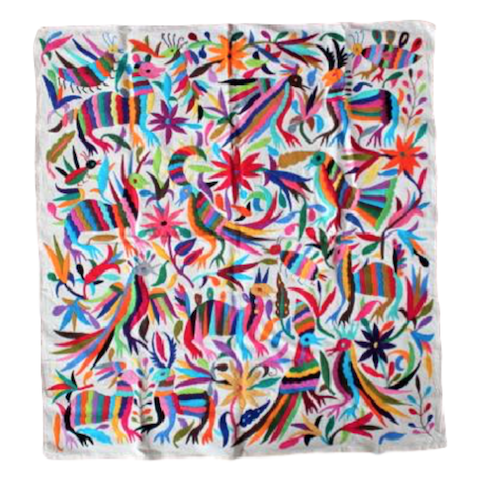 It is a remote small town located in Michoacan State near to famous Patzcuaro Lake.